Will future Lotus models lose their British-ness? Many automakers are looking to build cars in China, and we have already seen Ford decide to produce the next-generation Focus there. Lotus may be the latest car company to shift production to China after recently being acquired by Chinese automaker Geely. Geely recently took over a controlling stake in Lotus from its Malaysian parent company, Proton. Bloomberg reports that Geely chairman Li Shufu's priority is to make the Lotus and Proton brands profitable and to sustain growth using new technology trends of electrification. It was not specifically reported whether all Lotus production would move to China, or if only a few specific models would be built there. 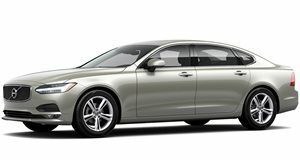 Geely recently moved Vovlo S90 production to China, and we would love to see some future collaboration between Louts and Volvo on future sports models. Shufu said in a statement that "The deep regional knowledge we gain from Proton and Lotus through this transformative partnership, coupled with our technological expertise and leadership in innovation, opens the door for Zhejiang Geely to become a major player in the Asean market." This could be the start of China's prominence in the auto industry. It is still uncertain how the Lotus brand will change over the coming years. We could start to see Lotus cars with hybrid or even electric drivetrains in the near future. We also hope to see sporty Volvo models with a "handling by Lotus" badge. The future looks bright for Lotus, and all it took was a ton of Chinese cash. But will Lotus still be Lotus if production, all or some, shifts to the Far East? The S90 is so very close to being a legitimate threat to Audi, BMW and Mercedes.